[required] => Please provide a title. [required] => Please enter the article contents. [date] => A valid date is required. [title] => What Cartier is all about. Since 1847, the name Cartier has dominated the jewelry world with the most iconic bracelet known as the Cartier Love bracelet debuting in 1969. 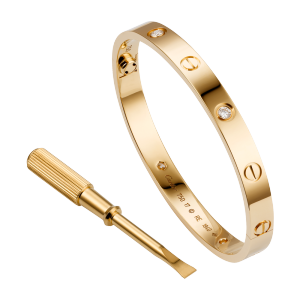 Since then, Cartier has produced plenty of other designs stemming from the “Love bracelet” design and concept. Anybody who is anybody in the entertainment industry has one time or another been spotted wearing a Cartier love bracelet or stunning pair of diamond Cartier drop earrings to a red carpet premiere. Cartier pieces are worn not only for their iconic designs but for what they mean and represent. The iconic house of Cartier has been one of the most influential and leading watch & jewelry designer labels in the fashion world since 1847. Cartier, over the many decades, has continued to shaped the jewelry and watch industry through its definitive designs that allow the consumer to unknowingly create a unique connection with each item. Along with detailed and impeccable craftsmanship, Cartier has held up to its high quality reputation since the year it was founded. It’s completely understandable why you might have to break the piggy bank and save up for a while to obtain something with the Cartier signature. Whether it’s a leather calfskin wallet or a diamond watch to help you function on a daily basis, you can be confident enough that you will be getting your money’s worth when purchasing a Cartier piece. Not all Cartier jewelry buyers are the same! Some jewelry stores will buy it for their own inventory while others have a network of other buyers to deal with. Some may even try to pay you for the gold content only and forget about the designer signature. It’s important to find a place to sell your Cartier items that knows how to properly appraise your items for its highest worth, and make you a competitive offer based on real world market resale value. At Global Gold & Silver we have expert appraisers on staff and we hope you consider us when you decide to sell your next Cartier piece for cash. 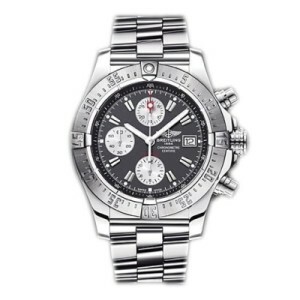 Found a deal on a Breitling watch that's too good to be true? Then it probably is. Jewelry is not only pretty, but a very  worthwhile investment. However, if  someone offers you something that  just sounds unrealistic, then it is! Unfortunately, the consumers are  more vulnerable than others when it  comes to jewelry scams. Breitling is truly an iconic watch  brand. Manufactured exclusively in  Grenchen Switzerland, this was the  watch that tied together the  legendary wardrobe of the classic 1965 James Bond (played by Sean Connery). Need I say more? Now that's style! There are a plethora of so-called wholesaler websites that litter the internet. However, more often than not, these are merely middlemen trying to make a quick buck. Common sense would question why a supplier could sell a watch for a tenth the actual value of the item. The harsh reality is that the exclusivity of the Breitling brand has opened up a huge underground market for counterfeit watches. They are typically bought from mainland Chinese factories, resold, and shipped by various websites. It's amazing what people go through to deceive the world. The reason why it's sold by overseas vendors is due to the fact that such jurisdictions doesn't fund law enforcement to pursue copyright infringement. Make sure to Google the website url and name. Anything based in East or south-east Asia should raise red flags. You can also create accounts on consumer forums and ask for people's reviews on the legitimacy of a given website. If someone replies to your question, ensure that they're an established member of the community. The easiest way to be certain that a Breitling is real is to request pictures. If you're in a store, make sure to closely examine a specimen. Salespeople will be glad to show it to you considering they can earn substantial commissions from the sales of luxury timepieces. A dead giveaway of the watches authenticity is whether or not the logo is embossed into the dial. Furthermore, all Breitling watches have font written in German. Anything with English words is a fake, guaranteed! If the watch isn't fake it's probably bootleg. If you want to avoid associating with a criminal organization, make sure that the serial number hasn't been obscured. This is a common practice used by crooks to ensure that they're not traceable. Otherwise, they might get ratted out by a client who calls the manufacturer regarding a mechanical problem. If you like our tips on avoiding Breitling scams, then take a look at: Proper Precautions for Selling Gold in NYC. Deal only with a licensed secondhand dealer. Check for a license on premises. Businesses buying and selling gold in New York must display a secondhand dealer license and possibly a pawnbroker’s license. Expect for your items to be weighed separately on a scale in front of you and, that they give you a written receipt. – if not, walk away! New York Gold Buyers are required that the scale they are using have a DCA seal. The seal should be of the current year. This protects you from any compromised scale scams. Know what you are selling – The price of gold and silver fluctuates daily and this is used to calculate the “melt value” of your jewelry. Inspect your jewelry. A professional buyer will inspect every items for diamonds, gemstones and designer brands for added value – do the same prior to selling. ID required! Every jewelry buyers is required by law to identify the seller and maintain a copy. Avoid a buyer who does not ask for id. The gold buyer must hold your items for 15 days before selling it. They are not however required to return your items to you. Avoid “cash for gold” parties and hotel buyers. Selling your gold at someone home or hotel means you’re dealing with a company that you may not be able to hold accountable if something went wrong. Go to a licensed dealer and make sure they are providing you with the information you need to get the best price. Just got out of a divorce or unpleasant break-up? Want to get rid of the presents and memories of your "once upon a time". Perhaps you’re wearing the engagement ring or a diamond necklace from Tiffany he bought you that you no longer want to carry. Here’s what you need to know about how sell diamonds and how not to get "cheated" again. You might have already tried  selling your ring and didn't  complete a transaction since your  appraisal form was 4 times higher  than your offer. Most customers  feel the appraisal price  determines the value. This is  untrue. Appraisal is for insurance  purposes and to give an estimate  grading of the 4C’s for your diamond. For an accurate grading, a diamond is sent to a formidable grading lab such as GIA, EGL, IGI and receive a certification of the diamonds. You will normally find your item to be appraised more than the retail value, reason being when lost/stolen most insurance companies will haggle and pay you less. There is always a huge retail mark-up for engagement rings which is another indication why your offers are thousands lower than your receipt and/or appraisal. Diamonds come in many different shapes: Princess (square), Round, Emerald (rectangle), Cushion, Heart, Marquise, Asscher, and Oval are just to name a few. There’s no shape that is better than the other. Its in the appearance that appeals most to you. If you have obtained a Round shape diamond from your break-up, you will find out how fortunate you are for keeping that ring rather than returning it or, gentleman, letting her keep it. 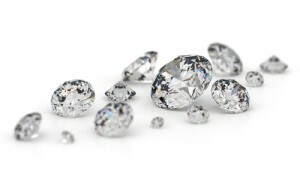 Round shape diamonds hold a stronger resale value. Round stones are cut to have 51 facets. When light is immersed to a Round shape diamond it bounces off the cones in the facets and allows the utmost scintillation to be dispersed. Therefor you can obtain more when you resell a round diamond than any other shapes. If you are looking for tips on selling gold jewelry, look no further. Whether you're in desperation mode to pay those bills or  have unwanted items from an ex spouse, selling used jewelry is one of the only feasible "get rich quick" schemes. However,  it's important to not go by the word of any salesman and to do your research. As long as you familiarize yourself with some      fundamental industry tips and "tricks of the trade", you'll be golden! It's crucial to ensure that your gold jewelry is being weighed to the exact decimal. Some dealers will try to maximize profit by  rounding off the weight in some pieces. This is a clever and easily overlooked method to the untrained eye. Double check that  they are weighing any gold in pennyweight. If you had a mint condition Louis Vuitton bag, would you list the Ad title as "1.3 lb's of leather" or "Authentic Louis Vuitton  Clutch"? Of course, you'd write a headline akin to the latter. Selling jewelry is no different. Make sure that you get the actual    value of your piece appraised. Anything designer or name brand will payout higher than the compensation for melted down gold. One of the biggest scams in gold selling is paying a client for "gold jewelry". This may sound bizarre, but you need to bear in mind that there are many alloy varieties of this precious metal. There's a huge difference between a 14 and 24 karat gold necklace. In fact, in most western countries it's the law for the jewelry industry to properly label the karats in all gold items for sale. Furthermore, ensure that your dealer is properly compensating you for any additional ornamentation. This could include diamonds and embedded gemstones. 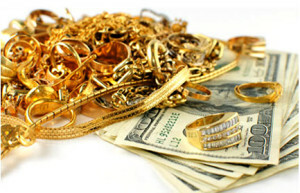 If you are unsure what gold buying business to visit, you should always check online reviews. Yelp and citysearch.com are a must if you're looking to avoid getting taken advantage of. When you've finally selected someone to do business with, it's crucial that you bring some form of government-issued ID. This is mandatory as a lot of jewelry is bootleg or stolen. Records help law enforcement track down and prosecute criminals. [title] => How & Where to Sell My Rolex? Have you been asking yourself "Where to Sell My Rolex", many of our customers have and here is what you need to know to make an informed decision. 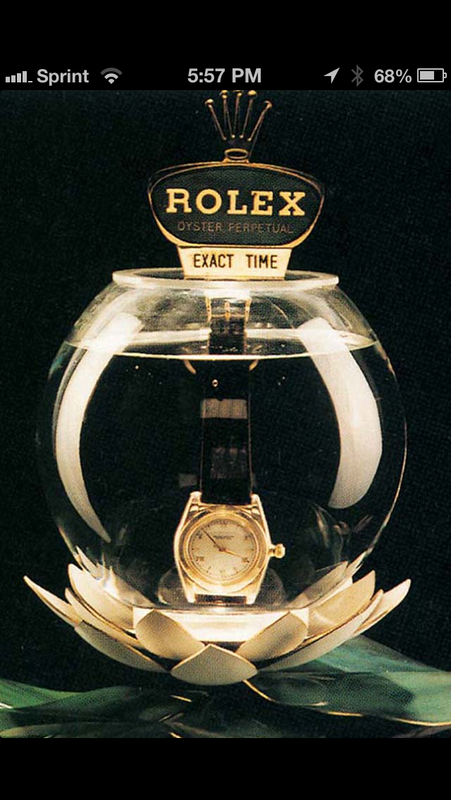 There is something about a Rolex, that name has been around since 1908 with the first truly waterproof watch known as the Rolex Oyster debuting in 1926. Since then Rolex has produced over 25 models including the Submariner, Datejust and Yacht-Master to name a few. With such a rich history the Rolex brand has a very large market for preowned watches so if your thinking how to "sell my Rolex" for cash you can feel confident that there is a watch buyer out there ready to hand you a pile of cash! Now the hard part, should you sell Rolex on eBay, your friends Rolex dealer in NYC or a corner jewelry store with a "we buy" sign in the window? First start with trust, search the Better Business Bureau for an accredited Rolex watch buyers in order to avoid any unscrupulous business's. If you have the box and papers make sure to bring it with you - it adds to the resale value and helps authenticate your Rolex. Not all Rolex watch buyers are the same! Some jewelry stores will buy it for their own inventory while others have a network of other watch buyers to deal with and the worst may pay you for the gold content only. It's important to find a place to sell your Rolex that knows how to properly appraise your watch for its highest worth, and make you a competitive offer based on real world market resale value. 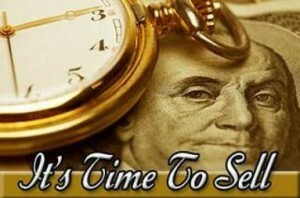 At Global Gold & Silver  we often hear people asking "can i sell my Rolex to you" and the answer is YES! We have expert watch appraisers on staff and we hope you consider us when you decide to sell a Rolex for cash. What Cartier is all about. Found a deal on a Breitling watch that's too good to be true? Then it probably is. Jewelry is not only pretty, but a very worthwhile investment. However, if someone offers you something that just sounds unrealistic, then it is! Unfortunately, the consumers are more vulnerable than others when it comes to jewelry scams. Deal only with a licensed secondhand dealer. Check for a license on premises. Businesses buying and selling gold in New York must display a secondhand dealer license and possibly a pawnbroker’s license. If you are looking for tips on selling gold jewelry, look no further. Whether you're in desperation mode to pay those bills or have unwanted items from an ex spouse, selling used jewelry is one of the only feasible "get rich quick" schemes. However, it's important to not go by the word of any salesman and to do your research. As long as you familiarize yourself with some fundamental industry tips and "tricks of the trade", you'll be golden! How & Where to Sell My Rolex? Have you been asking yourself "Where to Sell My Rolex", many of our customers have and here is what you need to know to make an informed decision. There is something about a Rolex, that name has been around since 1908 with the first truly waterproof watch known as the Rolex Oyster debuting in 1926. Since then Rolex has produced over 25 models including the Submariner, Datejust and Yacht-Master to name a few.